The Mara chandelier offers a modern update to the classic arm chandelier. Select regluar or grande size for your needs. The regular features twenty five individual frosted glass globes which smoothly diffuse the LED light sources for an unmistakably high-end look. The grande offers 45 frosted glass globes. 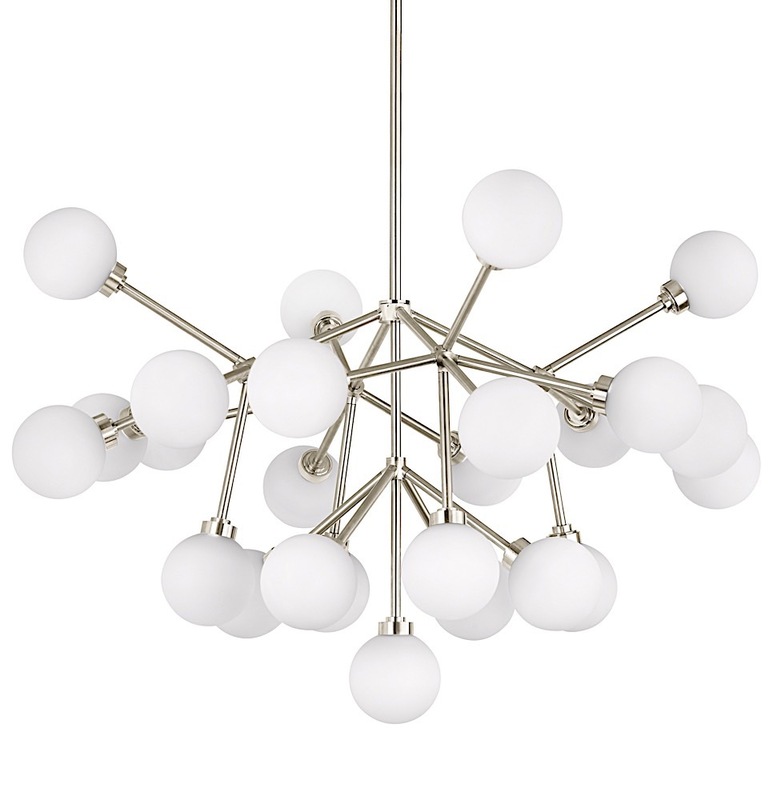 With plentiful, fully dimmable LED light output, the Mara chandelier is an incredible choice. Regular: (25) 2.6 watt, 67 delivered lumen (1675 total delivered lumens), 2700K LED modules. Fixture provided with sixty inches of variable rigid stems in coordinating finish to customize hanging height options. Grande: (45) 2.6 watt, 67 delivered lumen (3015 total delivered lumens), 2700K LED modules. Fixture provided with sixty inches of variable rigid stems in coordinating finish to customize hanging height options. Includes Two 24" stems & One 12" stem.